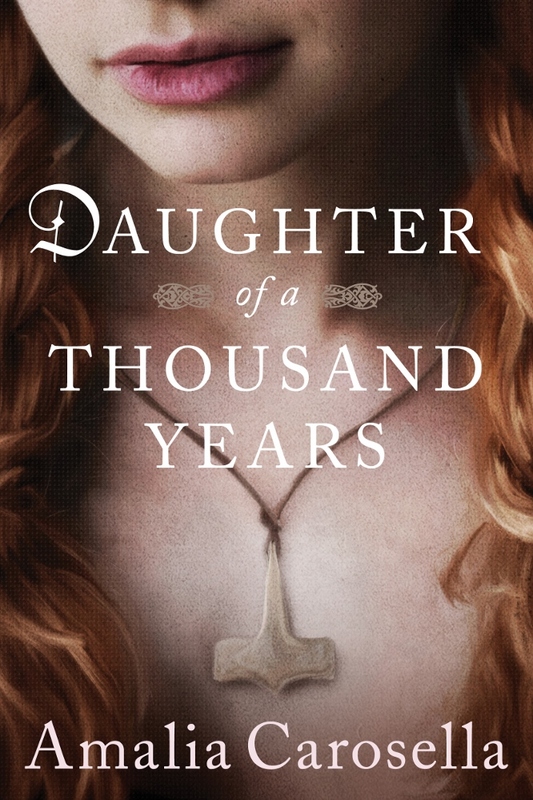 Why DAUGHTER OF A THOUSAND YEARS Matters so MUCH to Me. If you've been with me on the blog for any length of time, you probably know how much I love Norse Mythology. So when my editor suggested they'd like to see something non-Bronze Age from me for my next contracted book, leaping into the Viking Age seemed like really the only logical choice. And when they asked me if I'd consider writing a dual narrative -- with two timelines -- I almost immediately knew what I wanted to use for connective tissue between the two time periods. 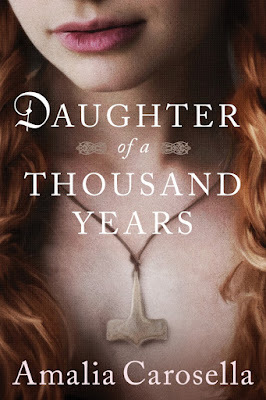 I knew that if I was going to write about a pagan Freydis, that I absolutely 100000% was going to write about a Heathen woman in our contemporary world alongside her. And when I told other people that was what I wanted to do, how I wanted to weave these threads -- I don't actually know what I expected. But I didn't actually expect people (with the best of intentions!) to tell me I shouldn't do it. I didn't expect to be discouraged. I didn't expect to hear that writing an explicitly non-Christian protagonist in a contemporary setting could kill my book, would kill my book, because people might organize against it and pile on bad reviews. I didn't expect my family and friends to suggest I play it safer with maybe just an Atheist instead of a Heathen, if I *had* to include a non-Christian main character in the contemporary half of my book. I didn't expect to find out that people in my life don't think there is room for a person who shares my faith to appear in a work of fiction. Not if I want it to sell. Not if I want to be successful. Imagine that. * Take a minute and think about it. How would you feel if someone told you to write yourself and the people like you out of your story? That including yourself and people like you on the page would mean failure. Would mean people dumping 1-star reviews all over your release just because you were daring to write a book that reflected a different experience than their own. Imagine learning that people maybe don't think you deserve a place at the table at all. That in the complex tapestry of literature, there is no room for you. You're better off just being erased and replaced. You're better off erasing and replacing yourself, and maybe it'd be better for that character to believe in nothing at all rather than believe in your gods or share in your faith. I wrote the book anyway. I wrote it and I poured myself into it, and all my fears, and all the opposition, and all the hurt. I wrote it and I kept writing it even before I knew I had my editor's complete approval. And I promise you, there were months of stress and anxiety and terror that I'd invested everything into a book that wouldn't be accepted, and at the end of it, I'd have to write something else instead or destroy the book to make it more "acceptable" to "the market." That doesn't mean I'm not still afraid. I am still afraid that the other voices, the other people are right. That because I included myself and my explicitly non-Christian faith in this book, it will fail. I will fail. I am still terrified that there is no room for me to exist in our literary world. That maybe I would have been better off erased. I hope that you'll all prove me wrong. And every one of you who buys this book -- who loves it, or just likes it, or at the very least respects and supports it even if it isn't your personal cuppa -- you are my hero and my lifeline. You are beacons of light and warmth. You are everything good in this world, and the only thing I hope is that there are enough of you to make it clear to my editor, to my publisher, to the literary WORLD that there is always room for one more at the table -- that readers are not only willing, but eager to make that room. *If you're a minority of any kind -- by creed or race or orientation or gender -- you probably don't have to imagine this scenario because I'm sure it's already been your life story. 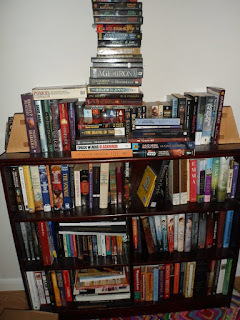 To fully appreciate my elation, and why this deserves its own post, you have to understand that my books have been in boxes since last April/May, when the flooring of doom project began. They are still not all unpacked, but I'm making some significant headway -- and plan on getting this unboxing project completed before the end of the summer. My efforts have been hampered by a number of complications -- one of which was the loss of a bookshelf when we tried to relocate it to clear the room for the flooring install. It just literally fell apart in our* hands. 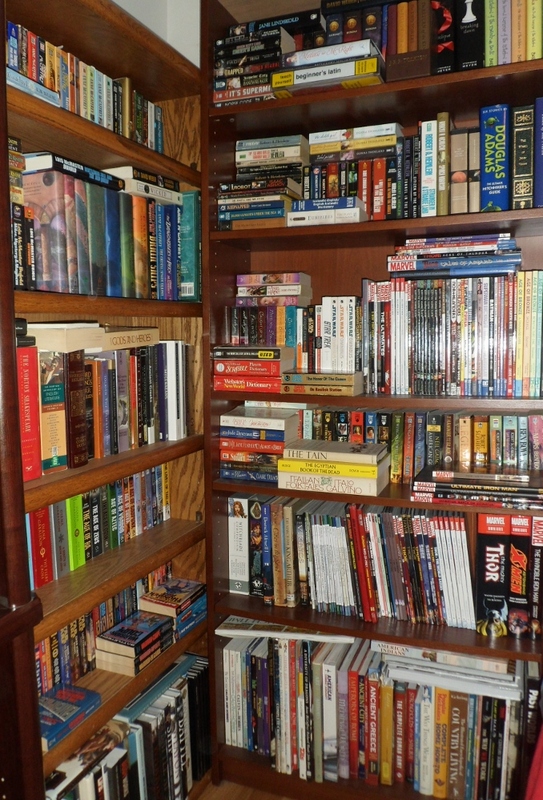 So when I finally did start unpacking... well, the shelving we did have filled up FAST. As you can see. 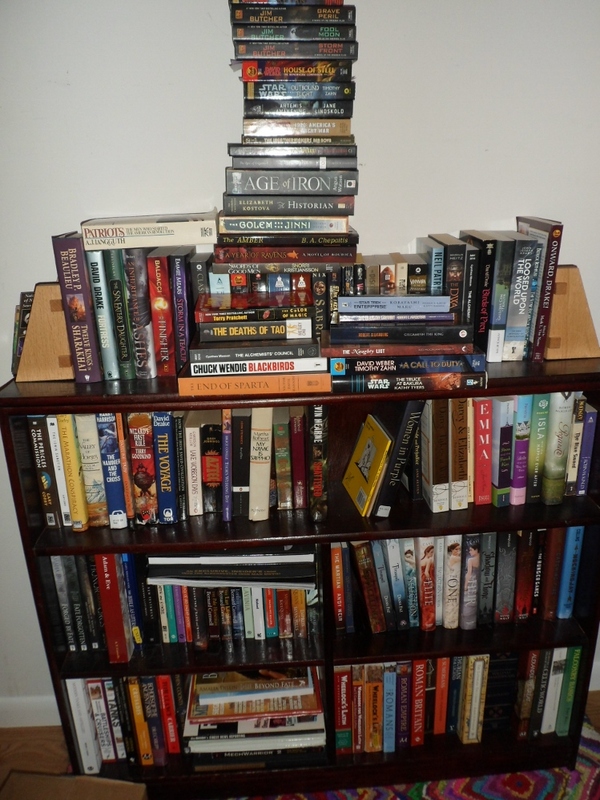 And this is definitely not even all my YA fantasy/sci fi, though I am excited to report that I have been able to consolidate most of my unboxed YA titles on the shelves above and below. For the moment. Sooooo there's still not a small amount of reorganization in my future, but I'm getting there. Slowly but surely, but surely all the same. And I can tell you already I'm going to need at least one more 6ft bookcase, if not two, in order to shelve all the books I have left. But there is NOTHING in this world more satisfying than looking at my well-ordered books on their shelves, so I can promise you I won't be giving up on the dream of every beautiful book in its place. In the meantime, I hope you're keeping up with me at blog.amaliacarosella.com! Carosella Author!me has been... very busy. *These hands probably belonged to my cousins and/or brother and/or bffs.